If you don’t know who Chris Voss is, do yourself a favor and pick up a copy of a book called, Never Split the Difference. It will change the way you look at negotiation forever. 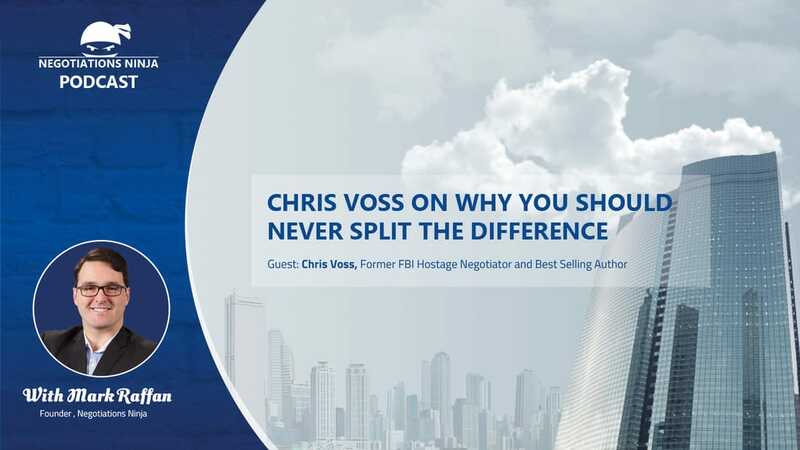 Voss spent 24 years working in the FBI Crisis Negotiation Unit and was the FBI’s chief international hostage and kidnapping negotiator from 2003 to 2007. Prior to that Voss worked on NYC’s Joint Terrorist Task Force investigating terrorist activities and attacks. After working on more than 150 international hostage cases he retired from the FBI in 2007 and founded The Black Swan Group. On this episode, Voss and I talk about some of the finer nuances and intricacies behind the tactics he teaches in Never Split the Difference.